The β-propeller domain is a widespread protein organizational motif. Typically, β-propeller proteins are encoded by repeated sequences where each repeat unit corresponds to a twisted β-sheet structural motif; these β-sheets are arranged in a circle around a central axis to generate the β-propeller structure. Two superfamilies of β-propeller proteins, the WD-repeat and Kelch-repeat families, exhibit similarities not only in structure, but, remarkably, also in the types of molecular functions they perform. While it is unlikely that WD and Kelch repeats evolved from a common ancestor, their evolution into diverse families of similar function may reflect the evolutionary advantages of the stable core β-propeller fold. 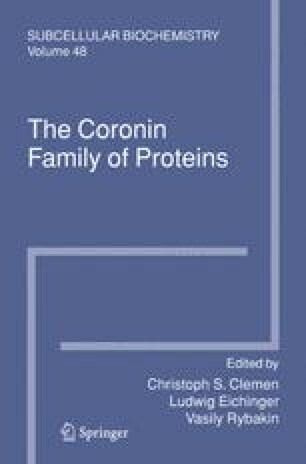 In this chapter, we examine the relationships between these two widespread protein families, emphasizing recently published work relating to the structure and fucntion of both Kelch and WD-repeat proteins.